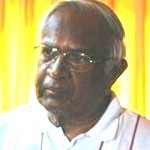 I refer to the article by Dr Dayan Jayatilleka under the caption “Pre-Independence Day Thoughts 2015: The Future State Of The Nation” where he discusses the sentiments expressed by TNA politician Mr. Sumanthiran that the “full implementation of the 13th Amendment is no lasting solution.” He extrapolates from such sentiments to surmise that the removal of the roadblocks to the full implementation of the 13th Amendment is not enough for the TNA MP and that “they would not try their very best to make the 13th Amendment work. Because if it did they would not be able to prove their dogmatic politically fundamentalist position that “the full implementation of the 13th Amendment is no lasting solution. This of course is DJ’s surmise and it cannot be ascribed to Mr. Sumanthiran. DJ asks what would be the final solution of Mr. Sumanthiran and the TNA. He is hung up on the issue of the unitary versus federal status- a distinction used by political scientists to describe widely varying arrangements for the devolution of power. India is supposed to be a quasi-federal State for example. The crux of the issue is that in general political parlance the division of powers between the Center and the periphery cannot be altered unilaterally in a federal state but can be so altered in a unitary state where the Center is superior and it is the Center that devolves the power and a future government is not bound by the division of powers that prevails and could unilaterally change it. Where does this leave the Tamil people? Naturally the Tamil MPs and the Tamil people do not want such a situation for a Sinhala nationalist party coming to power in the future could unilaterally alter the division of powers to undermine the devolution fully or partially. So the Tamil people keep on asking for a federal state in order to safeguard the existing division of powers. My understanding is that the Tamils want this essential feature because they fear the election of nationalist political parties gaining power and changing the allocation of powers between the Center and the Provincial Council. Call it federal or quasi federal but these are mere academic classifications. Constitutions are the work of negotiations between parties and they do not go on rigid academic classifications. Academics describe them after they are established. DJ asks what would be the final solution of Mr. Sumanthiran and the TNA. Call it federal or quasi federal but these are mere academic classifications. Constitutions are the work of negotiations between parties and they do not go on rigid academic classifications. Academics describe them after they are established. Whether it is federal or quasi federal is a matter of terminology. But the word “ federal” is looked upon as akin to separation by the Sinhalese masses and their rabble rousing politicians while to the Tamils the word “unitary” is anathema owing to the implication that it could be abrogated any time through the center using the Concurrent Powers to effectively change the scheme of devolution indirectly. It could also do so directly by changing the scheme of devolution without the consent of the Provincial Council. Neither the Sinhalese masses not the Tamil masses have studied the finer points of constitution making. But need we be hung up on words. Can the Sinhalese concede the principle that the division of powers should not be unilaterally changed by the Center? If so will they agree to such a provision being included as an Amendment to the 13th Amendment? DJ says that MR was willing to have a second look at the Concurrent List. Yes, it needs to be examined to prevent any trespassing by the Center on the devolved functions of the Provincial Council. It is not only a matter of the law but also of the spirit where the President or his representative the Governor must respect the law both in words as well as in spirit. Let us examine the 13th Amendment. There are several clauses in the 13th Amendment which could be interpreted in more than one way. For example the 13th Amendment says that the Executive power of the Provincial Council shall be exercised by the Governor either directly or through the Ministers of the Board of Ministers or through officers subordinate to him in accordance with the article 154F of the Constitution. So he has a choice to make. 1. There shall be a Board of Ministers with the Chief Minister at the head and not more than four other Ministers to aid and advice the Governor of a Province in the exercise of his functions. The Governor shall, in the exercise of his functions, act in accordance with such advice, except in so far as he is by or under the Constitution required to exercise his function or any of them in his discretion. 2. If any question arises whether any matter is or is not a matter as respects which the Governor is by or under this Constitution required to act in his discretion, the decision of the Governor in his discretion shall be final, and the validity of anything done by the Governor shall not be called in question in any Court on the ground that he ought or ‘ought not have acted on his discretion. The exercise of the Governor’s discretion shall be on the President’s directions. 3. The question whether any, and if so what, advice was tendered by the Ministers to the Governor shall not be inquired into in any Court. 5. The Government shall, on the advice of the Chief Minister, appoint from among the members of the Provincial Council constituted for that Province, the other Ministers. 6. The Board of Ministers shall be collectively responsible and answerable to the Provincial Council. 7. A person appointed to the office of Chief Minister or member of the Board of Ministers shall not ,enter upon the duties of his office until he takes and subscribes the oath, or makes and subscribes the affirmation, set out in the Fourth Schedule. But if the Governor chooses to exercise the executive power himself where is the devolution of power to the Provincial Council? Are these clauses consistent with an effective devolution of power? I think the option to the Governor provided only for the occasion where the Provincial Council was dissolved by the Governor. I believe the problem arose also in the context of the Provincial Councils Act No 42 of 1987, which gave more power to the Governor. But the 13th Amendment must prevail over the Provincial Councils Act of 1987 because it is part of the Constitution while the latter is not. If the Governor wishes to exercise power on his own initiative there could arise differences of opinion and even conflict with the Provincial Council even in the Sinhalese majority provinces. Such a situation arose in the Amparai District with regard to teacher transfers where the Governor on the advice of the Member of Parliament for the District allegedly reversed the orders of the Provincial Council Minster in charge of the subject. But generally the Governors in the Southern PCs have steered clear of such situations. (3) The Government shall, on the recommendation of and in consultation with, the Commission, allocate from the Annual Budget, such funds as are adequate for the Purpose of meeting the needs of the Provinces. (b) Any other matter referred to the Commission by the President relating to Provincial Finance. One hopes the next Budget which will be tabled in Parliament will include the allocation of funds to the Provincial Councils along with the Recommendations of the Finance Commission as provided for in the 13th Amendment. It is generally accepted that devolution of powers is a concept which allows for the people to have a greater say in matters affecting their localities, rather than allow all power to be in the hands of a bureaucracy centralized or decentralized. The provincial council bureaucracy must be under the Chief Minister and the Provincial Council not the Governor if devolution is to be effective. This option is available under the 13th Amendment but the former Governor of the Northern Province brought the provincial council bureaucracy under his control since this option seems to be available to him under the Provincial Councils Act no 42 of 1987. But there cannot be effective devolution if the provincial bureaucracy reports to the Governor. It need not be so for there is no such provision in the 13th Amendment for it must prevail over the Provincial Councils Act 42 of 1987 which is ordinary law and it cannot over-ride the 13th Amendment to the Constitution. If the Tamils are willing give up the demand for a separate state permanently they must feel that their freedom and rights are safeguarded. So there should be amendments to the 13th Amendment and the provincial staff should report to the Provincial Council and take orders from the Chief Minister if there is to be effective devolution of power. The 13th Amendment can be made to work only if the Governor behaves like a non-Executive President to maintain the integrity of the whole nation. Does One Violate Buddha's Teaching By Worshiping Objects? Another gem from a very decent citizen R.M.B Senanayake. It will be almost playing violine to a deaf elphant – so nothing can help to bring DJ normal. Please check his archives posted onto CT and judge yourself. As is the case with Kelaniya Mervin, Wayambe Dayasiri, DAYAN JAYATHILAKA has uttered his APABRANSA with all inconsistencies. Key motives of his utterenaces are related to the personal vendetta with Ranil and Chandrika. ALl those rumours being sent across the country them both to have been proxy ltters were connected the political revenges and fooling the nation rather searching any sustainable solutions for the ethinic issue. Now with TNA being cooperated with the new coalition, things have directed its way very pleased to a negotiated settlement. TNA shortly before the election categorically made a statement that they are not pro separate country. Within the unitary state, if other countries could live peacefully why not Srilanka. Federal states such as Germany, Switzerland and few others can bring no harm to any communities why not srilanka. People s attitudes and knowledge shold be enhanced by making them clear that power devolution is not partioning the country. Most that have no whatsoever knowweldge in that regard, just making every efforts to sow germs basing on their fantaasies should be banned at least from now. There should be laws in the country to go against anyONE like Weerawanses not allowing to festate the wounds instead of healing it. in India fits the Tamils’ demand. He further explains as how little the majority and minorities understood federalism and how it functions. for all communities, specially for the Tamils of N/E . Dr Colvin R de Silva, an outstanding historian,recognized as such within the Commonwealth explained in 1972 during the debate on the first republican constitution, that given the historical patterns of external incursion and internal fissure the island required a unitary system. The Center is superior because it represents the larger whole. If the Center lacked the capacity for unilateral action, President Premadasa could not have dissolved the NEPC in 1990 after it threatened UDI. Mr Senanayaka as well as the UNP heirarchy (with the probable exception of young Sajith Premadasa) seem to agree with the basic project of the TNA: placing the Center on par with and not above the peripheral unit; de facto federalism and the abolition of the executive Presidency. Given our geography, demography and history, I regard this combination as a recipe for the weakening of the state, and thereby, for disaster, including the erosion of the May 2009 victory over secession in our Great Patriotic War. One cannot expect anything else from you! DR DJ has reduced himself to be congratulated by the likes of you and Mahindapala! How sad! trying to take a cheap shot, arent you? I dont come here to win accolades from people who donated money to bomb people in SL and to cut our country in to two. If anyone has any doubt that DR DJ is a Sinhala Chauvinist or not, the above extract will be convincing that he is indeed a Chauvinist! He has appealed to the Sinhala masses to dig deep into their patriotic sentiments because he feels that the Sinhala nation is in danger at the hands of the present government. He exclaimed at the fall of the LTTE that Sinhala prevailed over the Tamils! The charlatan in him has over taken him; he is prepared to go at any length to sabotage any possible amicable agreement with the TNA. This man is far more dangerous than BBS and their ilk. He knows fully that Sumanthiran said the TNA is not worried about whether it will be unitary or federal as long as executive powers are devolved and safeguarded constitutionally. It is not because he does not understand as to what Sumanthiran has said, but because, he prefers the Sinhala have control over the affairs of the North and East. This is why he is against jettisoning the EP system! He feels that a Westminster model of Parliamentary System will weaken the Sinhala grip on power. This man is insidious and a humbug! This is a classic manuouvre. It is no secret that to protect the integrity of SL nation, the provinces must be subservient to the center. Actually it is the same in every country all over the world, including our neighboring india. So talking against weakening the state in order to protect the oneness and intergrity of the nation, is looked upon as being chauvinistic and racist. The motive is silencing such voices because the one who raises such a voice will get verbal abuse as a racist. So the other racists can engage in their task accordingly and achieve the target. I think in that case establishing a separate state with the help of any evils is the only safeguard for Tamils. This bloody racist call massacre of over 50,000 Tamil civilians as a great victory. It is very clear from this fundamentalist that ethnic genocide is their one and only aim since the power handed over to Sinhalese. The word “Centre” means Buddhist fundamentalist Sinhalese”.That is why the center engaged in 1958 massacre, 1977 butchering, 1983 massacre and 2009 genocide. Yeah when i get out from the office in wellawatte all i hear is tamil. Tamil songs, Tamil people Tamil food centres….is that ethnic genocide? How the hell Tamils survive to become a 35% in Colombo amidst a genocide? How do Tamils become a majority in Nuwara Eliya a midst an ethnic genocide? How did Tamils increase 38% in a decade (sinhala only 38.6%) amidst a genocide? SL will have a center where every province is subservient to it. As it is the case in india, US, UK and every other country in the world. SL is just practicing its right to protect its territorial integrity and sovereignty as any other country would. 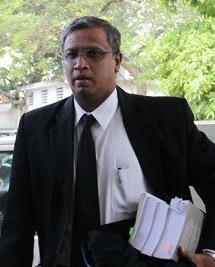 http://hrbrief.org/2015/01/the-legal-case-of-the-tamil-genocide/ and then come back and discuss about Tamil Genocide. You are talking about Colombo city, not about Colombo district. This is where you earn money to feed Sinhalese and create Sinhala only army. Can you tell what is the proportion of Tamils in your military. It won’t take few minutes to kill colombo and N’eliya Tamils within a minute. You killed over 50,000 within few days. In UK and India, they don’t sponsor colonisation to change demography as you do here. They don’t have hindi military alone. They all have devolved power but you don’t. You only kill people. The argument of Tamil devolution arises on the basis there is a permanent Tamil linguistic region ala Tamil Nadu here in Ceylon. That is hardly the case. The imbalance of Tamil speakers in proportion to land in the dry-zone is a legacy of the European colonisation. That will need to be corrected first to prevent communal discord as we have seen over 60 years. After that devolution needs to be considered on the basis of administrative convenience not on language. Federalism is NOT merely a technical term for one form of Devolution of power. Devolution means precisely that– the sharing or flow of power from Center to periphery or apex to base. It can be effected by a parliament or a president. Federalism on the other hand is the voluntary union of constituent units, in which irreducible powers are enjoyed by the units and the center, and the power of the peripheral unit cannot be abrogated by the center unilaterally (unlike in the case of devolution, in which it is revocable. As a Political Scientist can you understand the above analysis by R M B Senanayake ? Sorry to digress. Can a President or Cabinet of SL give a piece of Sri Lankan land as a free hold to a foreign person , company or country ? Can the lands they have been toiling or living can be acquired by the SL goverment and sold as a free hold land to a foreign person, company or country ? The above 2 questions also applies to land reclaimed from the sea within the territorial waters of Sri Lanka ? For DJ , paying Tribute to a foreign country to protect the interests of a ruling clan or dynasty is fine AND HE CHOSE TO BE SILENT on that. But the suppressed minority who has been asking for equality through 13 A or Federal system within a united country , is a dangerous demand and the minorities must be put in their place.DJ doesn’t care even if Fiedel Castro of Cuba request him to treat the minorities fairly. DJ is in favour of Western Imperialism replaced by Eastern Empire . I wonder whether Tamara will endorse DJ s views now a days. But I know HLDM will. RMB Senanayaka seems to be an innocent fellow with gentlemanly qualities. Such people think others are also not manipulative like him. But the reality is people like RMB Senanayaka are easy to be deceived. Once I too was a supporter for federalism when I was ignorant on the real power game. The first mistake RMB does is assuming the tamil politicians are like him and do not have any other different games or not part of bigger power games. That is not so. This election showed us the involvement of india in SL election. It is no secret India had pushed TNA to vote for Sirisena and Chelvanayakam’s son Chandra Hasan who lived in India for decades worked hard in North to make Sirisena win. One also should remember how Sirasa, which is a part of Maharaja media network (again indian influenced) played a part in forming the mindset in south. I guess Maharaja has people like Marikkar, Susil Kindelpitiya and Susara Dinal in politics in all parties in south and worked to make them win with high votes is also a part of bigger indian plan. If the president is made weaker, the executive is weaker and the state’s power will be diluted to many power centers as Dayan says. Then the Sri Lankan state will have two power centers as Sinhala South and Tamil north. Removal of power from governer or even removing the governer will support that. In effect the larger SL state becomes two states equal to each other but submissive to someone else from outside. Modern warfare is not fought by weapons. Economics is a part of it. Indian companies will flood SL, especially north. The economics will drive the people and even ruling. Could you please provide any evidence for this? If you cant – you are a BIG Liar . I cant confirm. But i read that in media. “I cant confirm. But i read that in media. ” – which one? A likely story, there is something called GOOGLE. Use it sometime, you might learn a thing or two. Yes, which media, opened your big mouth now provide evidence. Come come, be a man and admit you lied and got caught with your pants around your ankle. Sure he will open the eyes of the chauvinists; you are a living proof of that! yeah who spoil our plans are chauvinists. The 13A is almost a carbon copy of the Indian Constitution. The President in India has executive powers so are the Governors of the states in india. I just reproduce the Indian Constitutional provisions-Articles 53,74,154and 163. In the face of these provisions RMB may have to revise his article. Further i want to ask a simple question from DJ whether he is still for the full implementation of 13A or whether he has any reservation after the defeat of Mahinda? functions or any of them in his discretion. Nice, simple piece. The exact opposite of Dayan in so many ways. The author here simplifies, rather than complicates. He doesn’t hide behind grandiose political theory and abstract terms but gets to the point. And of course the author seems to be in pursuit of a solution, which can only come by accommodation. Dayan could learn a lot from this author, and if he were more open minded he would. I like to respond to the first two comments by Lanka Watch and of course Dayen Jayatilleke.I agree with Lanka Watch that we have to go slow and meanwhile the Northern PC and the Tamil politicians must show that they can and will co-operate with the Center for such co-operation is essential. DJ is assuming that I want to equate the Center and the periphery- the NPC. No Sir, I am only interested in ensuring that the division of powers in the 13A is honored by the Center at all times. Under the present Government of President Sirisena and Ranil there is no ground for the Tamils to fear it. But we know that even recently the previous regime was being urged by Sinhala Buddhist nationalists to repeal 13A. Where does this leave the Tamils? The MR regime exercised semi-military control and the Governor ensured that the NPC was rendered ineffective and stultified. The concept of keeping ones word and honoring an oath is essentially a western concept where the Bible talks of a Covenant and I don’t see such an ethical command in Hindu-Buddhist ethical teaching. I stand to be corrected on this statement but our ancient Sinhalese kings often broke their word. The British in the early days of their occupation understood the deviousness and deceptiveness of the Sinhalese leaders. So how can the Tamil people ensure that the division of powers will not be fully or partially, directly or indirectly violated. Surely if it is done indirectly India could hardly intervene.So I am not arguing for weakening the Center and not even for doing away with the Executive Presidency.But the Executive Presidential form of government in democracies must accept the principle of separation of powers if the freedom of individuals is to be preserved. True JR disregarded it and MR used the opportunity to convert it to a dictatorship. So I prefer an Executive Presidency which safeguards individual freedom by removing features which could lead to a dictatorship. The Tamil people also I feel would prefer a presidential form since it gives them voting power to even change a government. First of all there is no need to respond to Dyan. He is a spent force and a born Racist. Here is a man who tried to defend the Genocide at the UN and when the UN delivers its vedict in March Dyan will also be implicated. There is a saying in Crminal Law that you are innocent until proven Guilty. But MR and his cronies that includes Dyan are GUILTY as CHARGED. As for the 13th Amendment it is only a starting point. The two essential things for us are Land & Police Powers and we must be empowered to be in cgarge of our destiny. Britain owes a heavy Moral responsibility to the Tamil plight by not putting in place a system to safeguard our identity and rights. The Federal System that we envisage granting us the the above two rights must be underwitten by an outside power to prevent any abuse by the Centre. In the Indian Federal Structure there are checks and balances as there are so many Staes who act as a buffer and keep the Centre on check. Where as in Sri Lanka it is a two tier system and the North & East do not have the luxury of deterring the Centre if the centre tries to meddle unreasonably. Further more Sinhalese Prejudice and Antagonism towards the Tamils is never going to go away and it is Vote Winner. I now wish to make my comments on the other distinguished writers. I like to tell Sach that I don’t wish to dilute the powers of the “State” which is of course different from the government which again differs from the Executive President.I only want to preserve the freedom of the individual which as Montesquieu pointed out requires a separation of powers. But JRJ was not interested and he introduced a hybrid form of government which lends itself to a dictatorship. He introduced practices from both the presidential and the Westminster systems. The present Government I realize has now changed its stand on abolition of the Executive Presidency and wants only to curb the excessive powers of the President rather than abolish it. So Sachs, I don’t seek to weaken the State or even the Center. I did make a mistake in referring to the Indian Constitution. Yes it doesn’t protect the division of powers but the Center dare not trespass on the periphery because India for most part of its history was a single country but not a single State. So the Center in India will not risk her fragile unity by trespassing on the powers of the PCs.But not so in Sri Lanka with a long history of centralized rule. What is required is a strong sense of national identity on the part of the Tamil politicians and the people. This is something that the Center must promote so that the elites in the North and East will identify themselves with the nation.The present government can do so. But a strongly nationalist Sinhala Buddhist government will not promote such an identity. The NPC depends on grants from the Center which promotes unity if there is no discrimination in the allocation of money from the Center to the PCs. *** The Grant from the Centre is a drop in the ocean compared to the money that is waiting to flow in from the The Tamil Expatriates. The Centre can do a Loan from these sources. We are self made people as we showed during the Eelam struggle.